Our rooms are spacious and comfortablely decorated. The rooms are equiped with everything you need. All this will ensure a good night's sleep for a fresh start of the day! Furthermore Almere does not charge citytax! 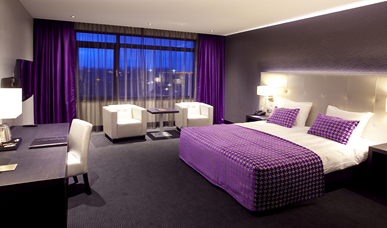 Our spacious standard rooms are fully equipped and ensure that you can enjoy a good night's sleep. These rooms are tastefully decorated and offer optimal comfort. The double bed room is provided with a queensize bed (160 x 200). 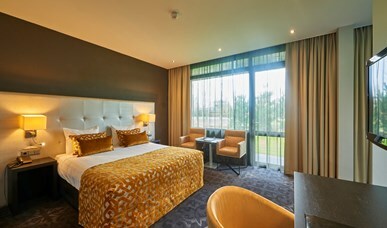 Our spacious special needs rooms are fully equipped and ensure that you can enjoy a good night's sleep. Would you like to stay in one room with your children? Or would you like to enjoy a luxury weekend with a couple of friends at an attractive rate? 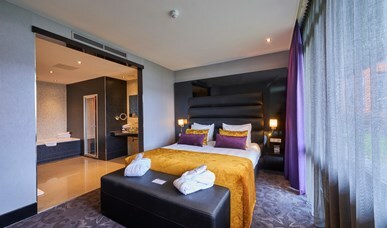 In this case our triple room is ideal for you. This standard room is provided with 3 single beds. All of our spacious family rooms offer a comfortable interior and a separate, lockable bed room. This room is ideal for multiple persons, families or sports teams. 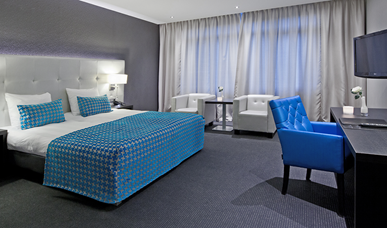 Our luxurious rooms offer even more comfort than our standard rooms. These nicely furnished rooms feature a king-size bed, a balcony or terrace and a whirlpool for maximum relaxation! 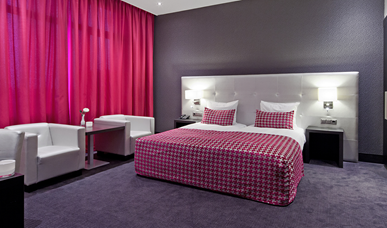 The modern Topsuite is equipped with all conveniences to provide you with a good night's rest and a comfortable stay! 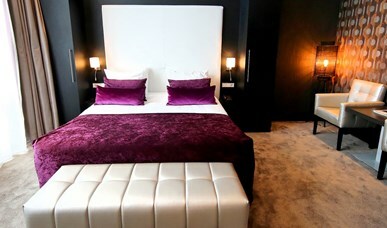 The Diamond Suite is suited for both business and private guests! The Suite has an open bathroom and bedroom with a separate seating area. For maximum relaxation we advise you to book an overnight stay in one of our luxurious wellness suites! 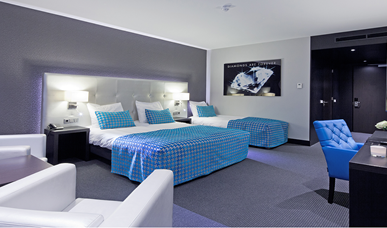 This luxurious suite, primarily decorated and furbished in white tones, will make your stay in the Hotel Almere unforgettable. 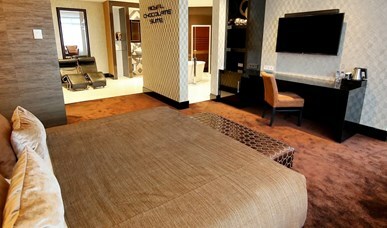 The real chocolate lover should not miss this suite! You imagine yourself in a world of chocolate and on arrival you can enjoy a delicious surprise waiting for you in your suite. The Royal Suite Rouge is a warm, cosy suite, cloaked in red/black tones. 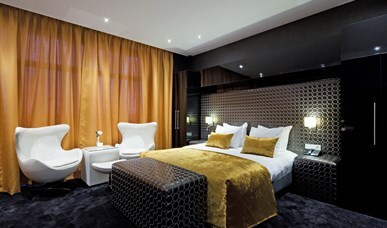 This luxurious suite will make your stay very enjoyable and special.